A 30' robust VersaWall exhibit to engage new prospects and customers. Distinctive in style with multi-functional capabilities that will get you noticed on the show floor. Bring your brand to life with a trade show display that that's backed by an industry's best Lifetime Warranty. 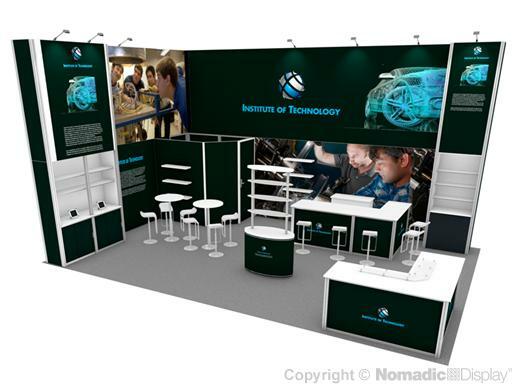 This booth features high impact SEG graphics, plenty of showcases and shelving to display your company products, a walk-in storage area, open seating area and bar counter to engage with your customers and an L-shaped reception counter for greeting multiple visitors at once. 2 - Crate1180EL - 57.25" x 48" x 100"